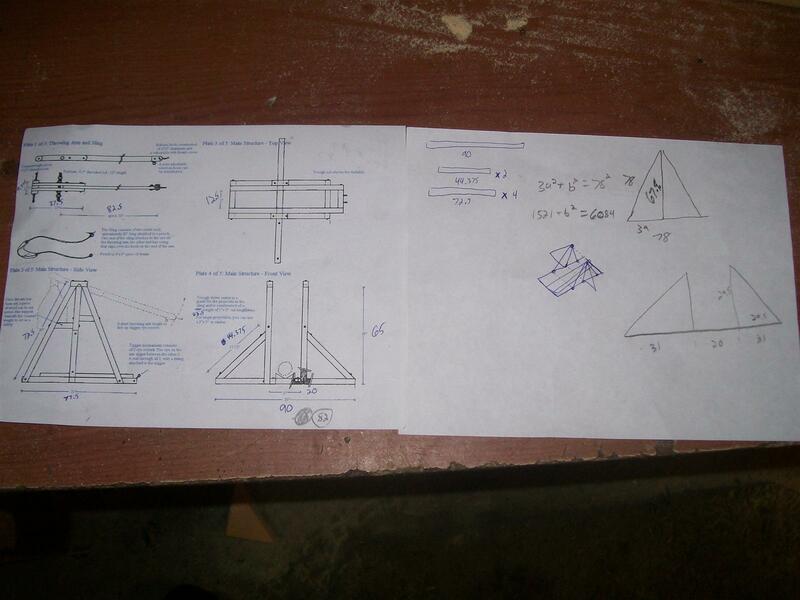 Here are our original plans, which we modified a little to fit our needs. 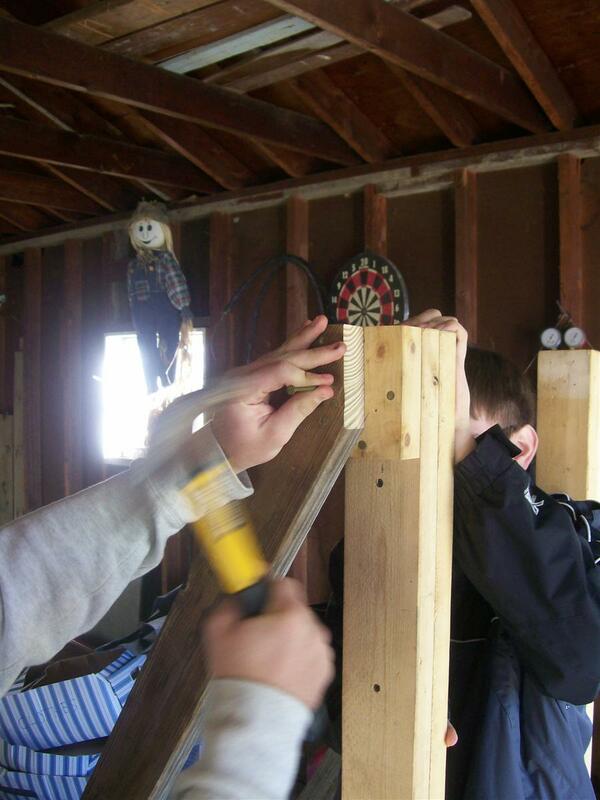 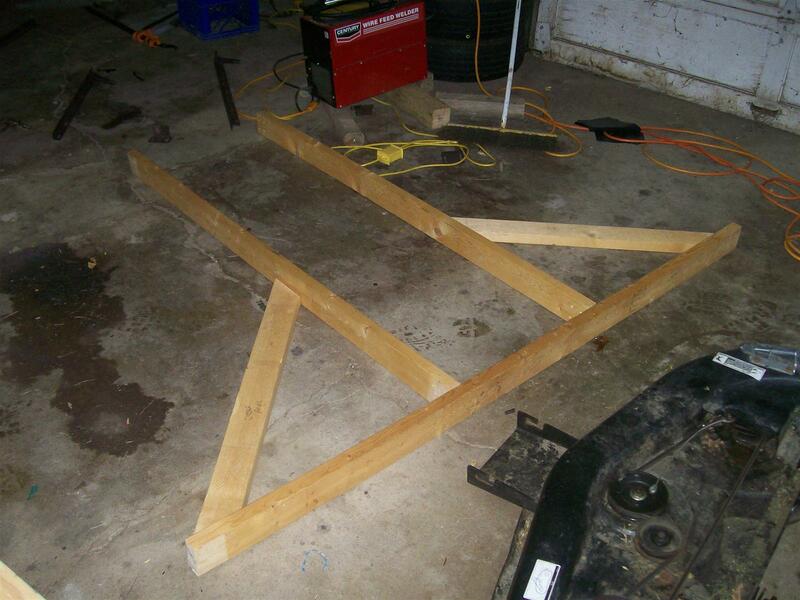 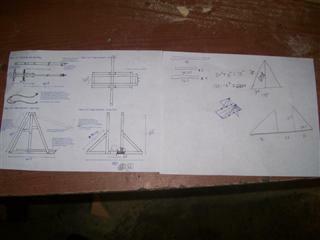 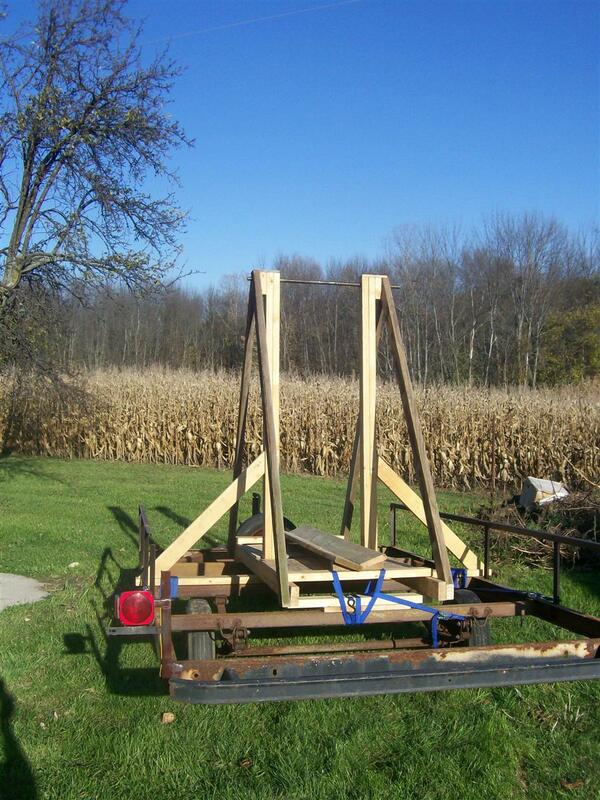 These are some of the boards we used to build our trebuchet. 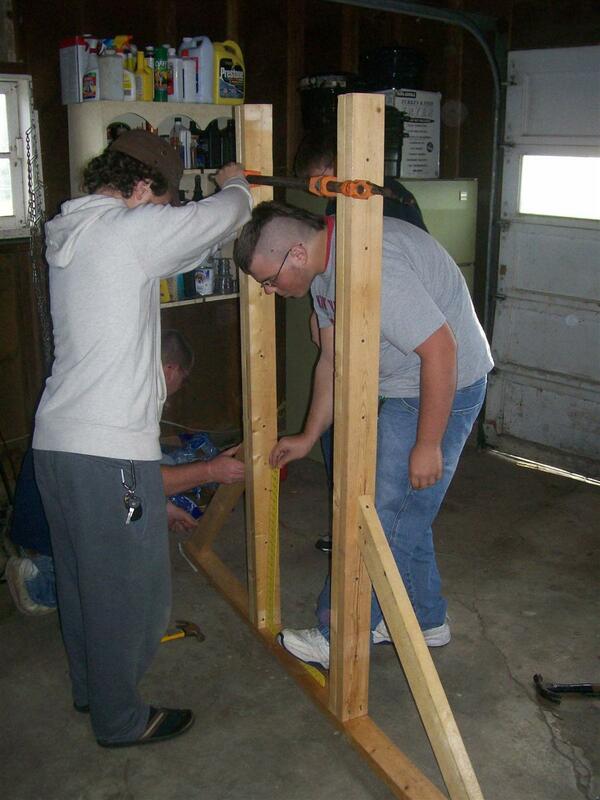 Here we are assembling the vertical supports. Here we are a little further along in assembly. 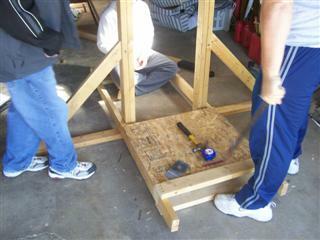 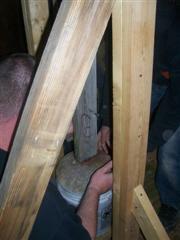 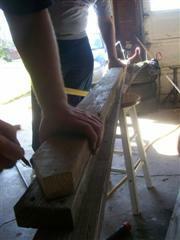 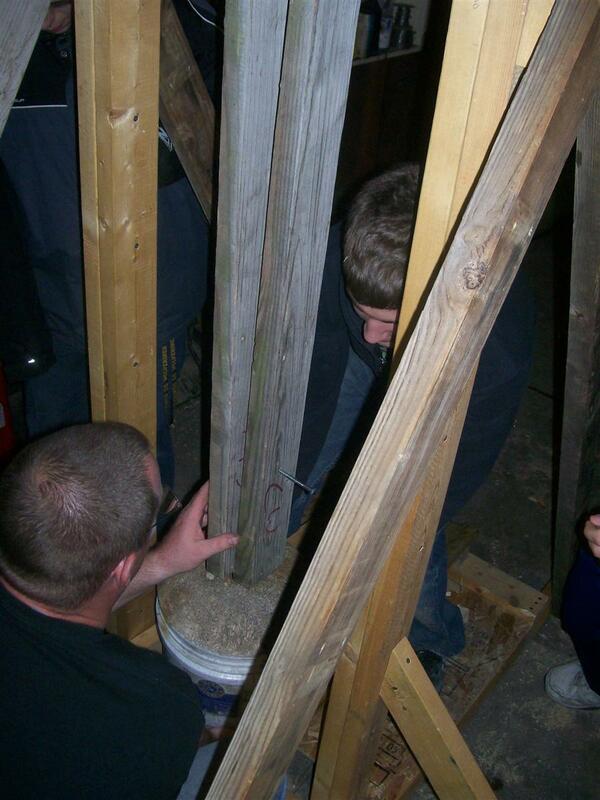 Attaching the four diagonal supports. Finally, the base is completely done. 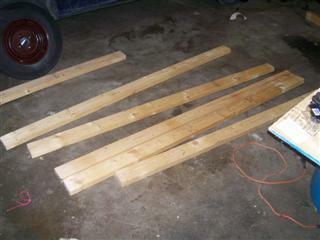 Laying out the arm boards. 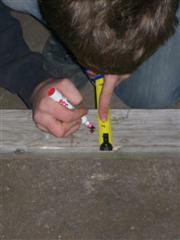 Here Chris is marking where our hole needs to be drilled. 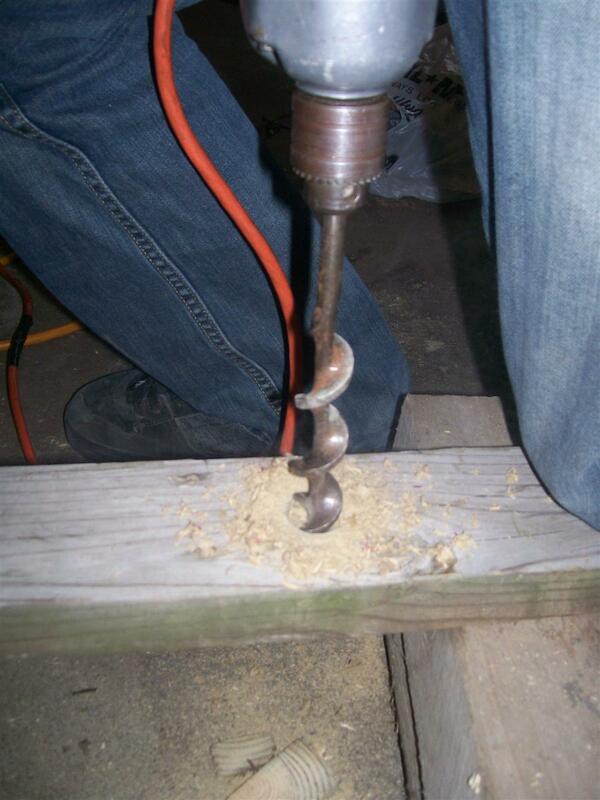 ...still drilling the hole (it took five minutes to drill through these boards). 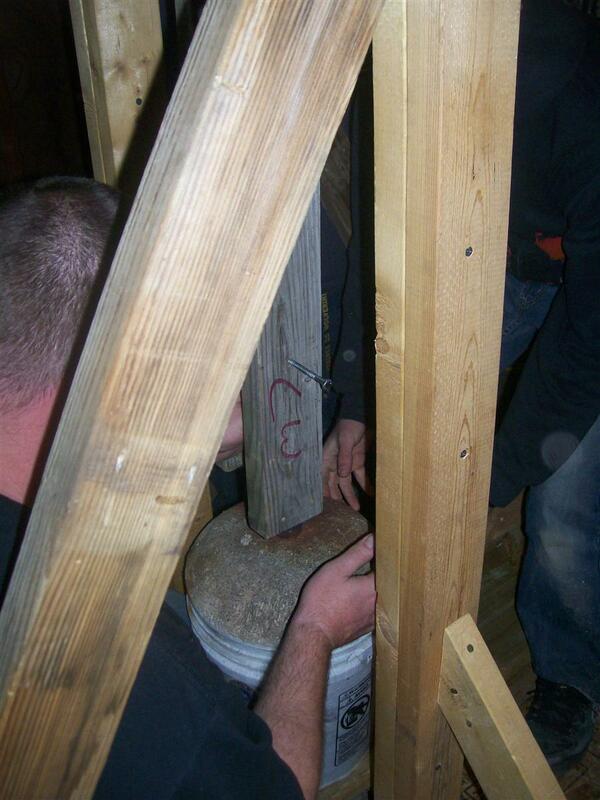 Here we are attaching our couterweight (128 pounds) to the end of the arm. 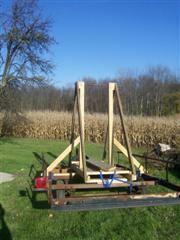 Here you can see the whole arm, with couterweight and sling attached. 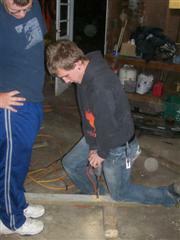 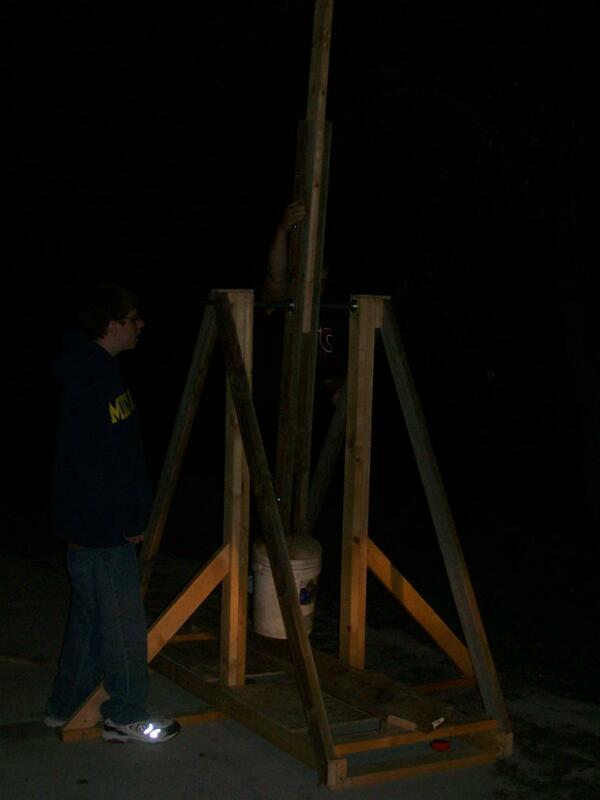 This is when we attached the arm to the base and swung it around a few times. 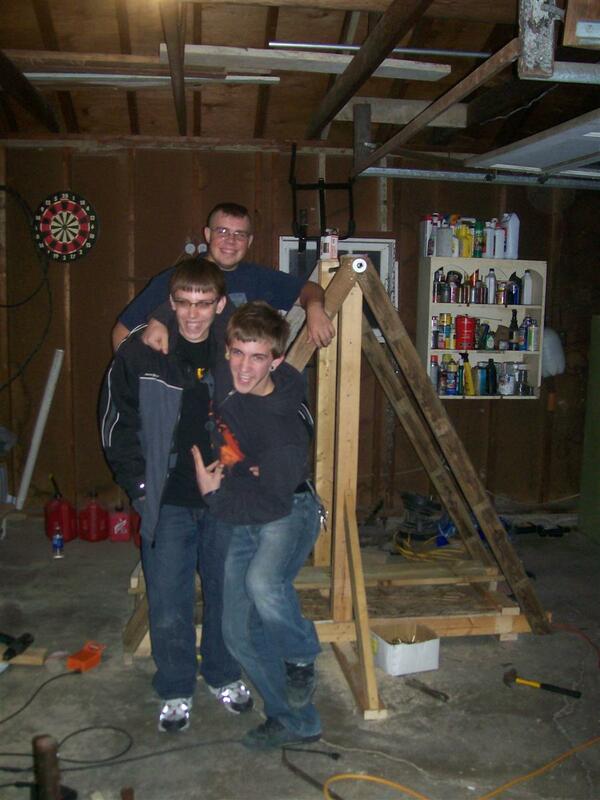 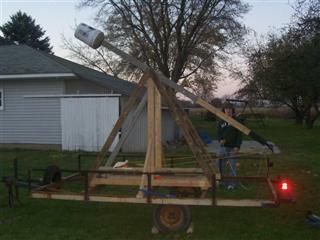 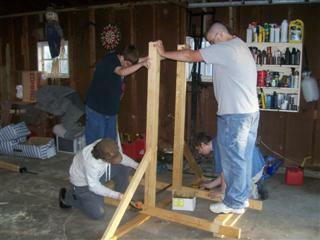 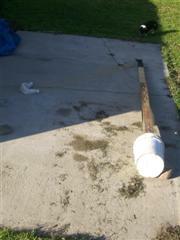 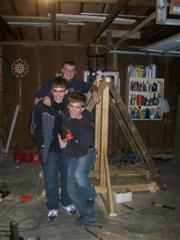 This is after we attached the trebuchet to our trailer. And finally, after six days of hard work, here is the trebuchet locked and ready to fire. 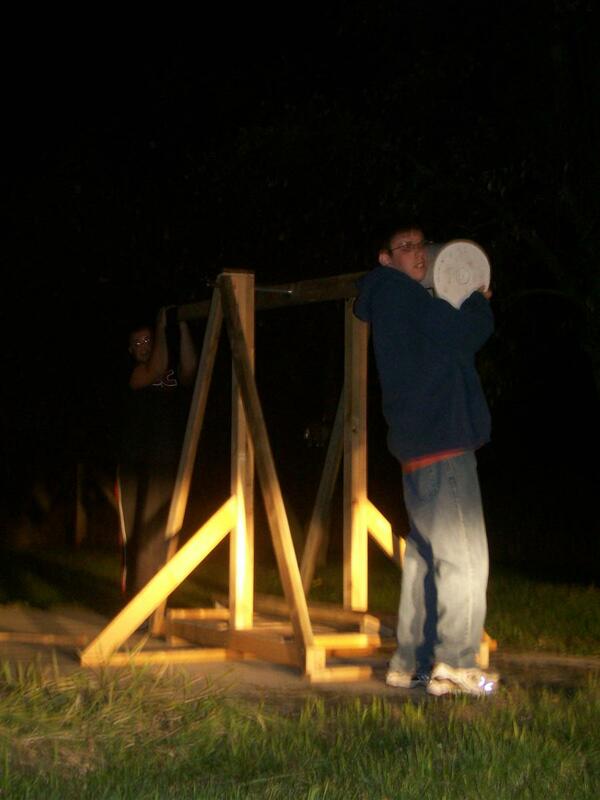 See it in action here(13MB .mov), here(5MB), and here(6MB).